Raising a lamb for a 4-H fair can be a memorable and educational endeavor for all involved. 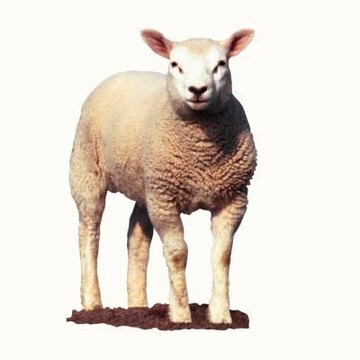 Lambs of different breeds finish at different weights, but you can estimate what size a lamb will be based on the mature weight of their parents to select one who will be more likely to finish within minimum and maximum size limits for your 4-H show. The goal of market lamb 4-H projects are to teach not only animal care, but to provide high-quality meat suitable for the slaughter market at preferred weights of 120 to 150 pounds. Lambs grow at an average rate of 0.6 pound per day, growth slowing as they top 100 pounds. Larger breeds will grow at up to 0.8 pound per day, and you may need to limit food for these breeds toward the end of development to avoid exceeding weight limits at the show. Small breeds may grow only 0.4 pound per day and must weigh at least 80 pounds by show time. How Large Will a Runt Boxer Get?